Both pink and gray snow molds occur under a blanket of snow. And since Kennewick and the rest of the Tri cities have the potential for winters with a lot of snow, your lawn is at risk for snow molds. You’ll notice in early spring, when all the snow has melted, that parts of your lawn will have patches of matted grass with a gray or pink tinge to it. When you get closer to these patches, you’ll notice dead grass matted down and brown seed-like fungi, called sclerotia, in the center of these patches. 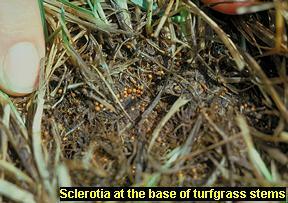 Sclerotia appear in both gray and pink snow mold. Snow mold will kill grass leaves. Depending on the severity of snow mold on your lawn, it can also kill the crown and roots of your lawn grass. What can you do about snow mold in your lawn? 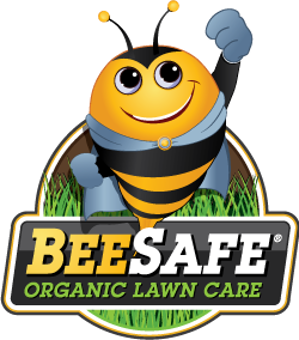 First, at Birch’s Lawn Care, we recommend that you don’t use any fungicides as they are devastating to the soil biology we are trying to promote. Snow piled alongside your driveway and in other areas of your property that created a larger snow cover. Wrong type of grass. Bentgrass and perennial ryegrass are susceptible to pink snow mold. And creeping bentgrass, perennial ryegrass and tall fescue are susceptible to gray snow mold. Your Kennewick lawn doesn’t have to get snow mold every year. Instead, you can invest in some preventative lawn care practices that will prevent snow mold from occurring next winter. Commit to a sustainable lawn care program that includes regular fertilization as well as core aeration and overseeding next fall. Mow your lawn to 2”- 4”. The amount you mow will fluctuate between 2” – 4” inches throughout the spring, summer and fall months. Make sure you continue to mow your lawn into late fall before the ground freezes for the winter. Ideally, your last cut for the season should be 2”-2.5” so grass won’t be matted down by snow. Apply a winterizing fertilizer in the fall to help grass green up right away in early spring. When you overseed your lawn in the fall, make sure you’re using a blend of Kentucky bluegrass and fine fescues which are more resistant to snow molds. Even though we live in a snow belt, it doesn’t mean that your lawn needs to develop snow mold. Smart lawn care practices will help you avoid snow mold as well as create a lush carpet of green from early spring through late fall. If you’re ready for a sustainable solution to your lawn care, get your free lawn care quote HERE. You can read more about snow molds here.